How many seemingly small interruptions do you have in a day? Spending a few minutes re-explaining a task—or taking it on yourself—adds up. Soon, you’re stuck with a list of technical work instead of time to focus on strategic decisions. 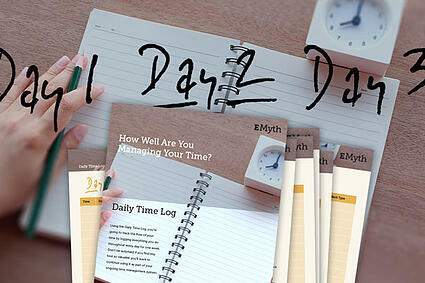 Rather than trying to take on extra responsibilities, ask yourself “Where is my time best spent?" The first step to better time management—and increasing productivity—is to know how you’re actually spending your time. By using our Daily Time Log every day for one week, you’ll know how much time you’re spending on strategic work and where you need to start delegating responsibilities to your team.